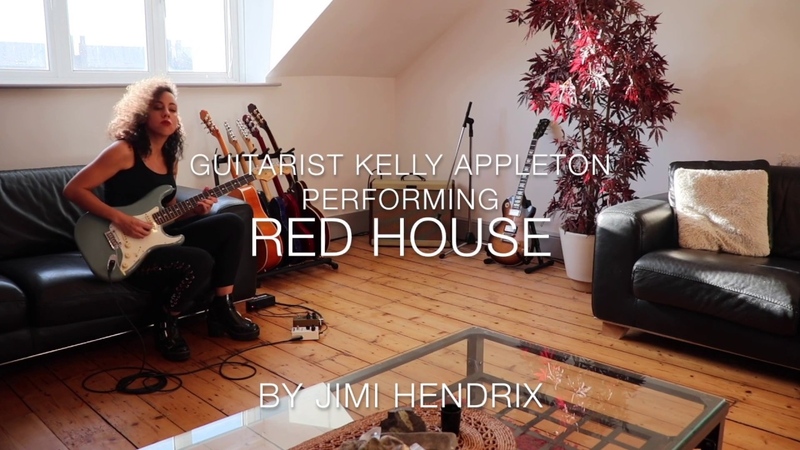 Guitarist Kelly Appleton performs the guitar solo to Red House By Jimi Hendrix. I had a lot of fun recording and filming this guitar solo to Red House taken from Jimi Hendrix's 1966 debut album Are You Experienced. The solo consists pretty much entirely of pentatonic and blues scale but it's made all the more interesting by Jimi's note choices, which highlight the chord changes, love it! If you want to play along it's a 12 bar blues in B and my guitar is tuned down a half step to Eb . I'm going to be uploading regularly to Youtube, so come and get involved, say hi in the comments, like and subscribe and all that youtube related Jazz (or blues in this case... awkward pun). Also, let me know if there are any guitar videos or covers you would like to see on this channel.